QAM specialises in cost-effective examination, testing and commissioning services for bio-pharmaceutical facility systems worldwide. The company maintains one of the largest inventories of analytical equipment in the world. 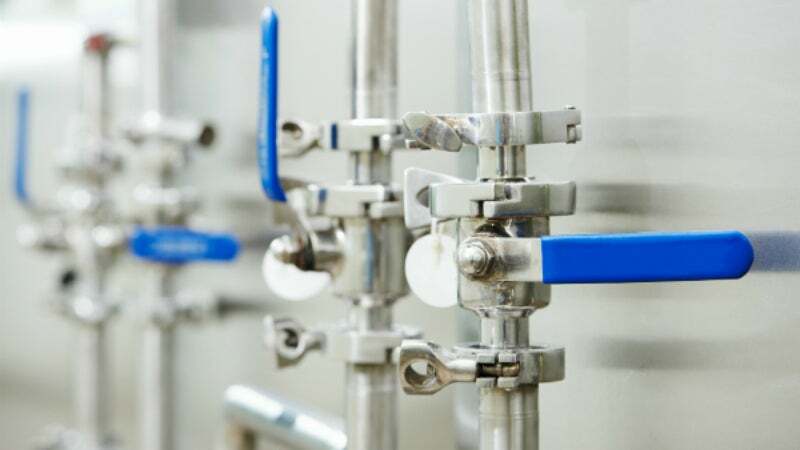 Inspection and analytical services for hygienic bioprocess systems are available, including testing and commissioning of gas, chemical, compressed air and water systems. QAM conducts internal visual inspections of stainless steel piping systems using video detection tools and image management software. Company personnel are qualified to perform American Welding Society (AWS) and ASME BPE weld inspections. The company can support ASME bioprocess code installations with onsite weld assessment, quality surveillance, welder certification and procedure qualification services. QAM provides ISO: 8573 based analysis of clean, dry and oil-free compressed air used in biotechnology and pharmaceutical manufacturing. The company offers the latest analytical technologies for moisture analysis, particle counting, oil mist and total hydrocarbon analysis. Microbial impact sampling for biological contamination monitoring is available, and is part of QAM’s qualification and commissioning services for compressed air and other process gases. QAM supports factory acceptance testing (FAT) and pre-fabrication for biotechnology and pharmaceutical projects by analysing materials and facility subsystems. QAM conducts contact profilometry for surface finish analysis of sterile product contact surfaces used in the vessels, tanks, skids, and other facility equipment. The company works to ensure that construction materials meets the required specification by positive material identification (PMI) and analysis of ferrite content in 304l, 316l and 316l welded subassemblies. QAM deploys advanced equipment and procedures to test, certify and commission newly installed equipment and guarantee it is leak-free. Field tested experts can help identify, locate, quantify and repairs leaks in operating facility systems. Its personnel are qualified according to American Society for Non-Destructive Testing (ASNT) standards. Helium leak detection services provide the fastest, safest and most sensitive leak detection technology. The company uses ASTM and ASME standard practices with advanced helium mass spectrometer leak detectors. QAM’s domestic and international offices provide support for construction projects requiring FAT and IQ-related pre-delivery inspection of facility or process equipment such as tanks, vessels, skid and process equipment. On-premises pre-delivery inspection services include materials analysis, supplier quality audit, surface finish analysis, weld inspection, drawing, installation and documentation verification, as well as pre-shipment functional tests. QAM is a trusted partner of facility owners and vendors serving biotechnology and pharmaceutical construction projects. System experts supervise process piping and facility equipment installations and ensure project specifications are met and critical facility systems are validated.